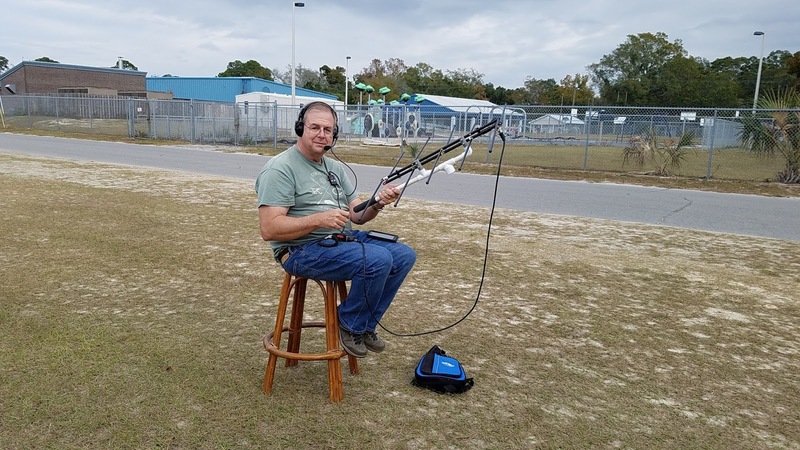 AO-91 is a new FM s amateur satellite. It was known as Fox-1B before launch. It motivated myself and several Club members including Jim K4LIX and Bob KK4DIV to give it a try. It had been a while since I had the gear together to do an FM satellite. I started with the Kenwood TH-D72A and programmed the AO-91 frequencies in the rig memories. It had been long enough that I had to rediscover that the programming cable for the D72A is just a USB cable. My first attempt was Saturday at the field behind the Panama City ARC Clubhouse. My antenna was the Elk log periodic. The bird was very crowded. I came up with nothing. I did hear Matt NJ4Y very well. Immediately after AO-91, AO-85 came over, and I got a couple including Bob KE4AL my friend in Dothan, Alabama. So my gear was working. I later emailed Matt, NJ4Y. He said that he was using a bit more than HT power and he recommended that for the busy day passes. He also suggested trying one of those middle of the night passes. I did an AO-91 pass at 2 AM Sunday morning with the Kenwood TH-D72A. It was very different due to fewer hams trying to use the bird. It sounded crystal clear just like a local repeater. I got three contacts. 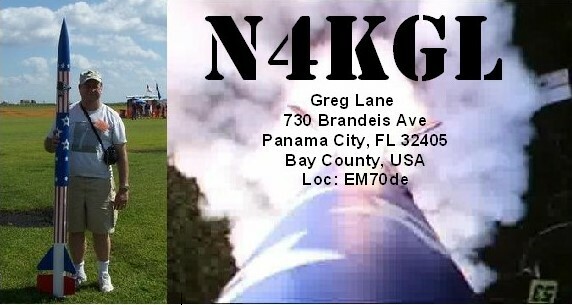 I planned to met Bob KK4DIV at Kinsaul Park in Lynn Haven, Florida for a Sunday A0-91 day pass. In preparation, I gathered my Yaesu FT 8900 and programmed it. That would give me more power than an HT. I joined Bob and Phil N4STC at the park. The weather was excellent. The A0-91 pass yielded two contacts including Matt NJ4Y at EL98. Another one of Bob KK4DIV's cool videos. Notice Suzy in the background at the park. So I have now been checked out on the FM birds again. There will be more opportunities with another bird in the sky thanks to AMSAT. Bob and Phil and I discussed setting up a base satellite station as a club project. None of us have a home station or experience with a satellite tracking antenna. I expect that Chris VA3ECO, another one of my satellite Elmers, can help. He is expected to arrive in Panama City early January. He has a satellite station up in Ontario. Note the Kenwood TH-D72A and the Yaesu FT 8900 are capable of full duplex on satellites. Bob is using the Yaesu FT 7900. When you hear yourself on the downlink you know you go through. Phil N4STC was using an HT to copy us. The downlink is on two meters so you do not have to worry about Doppler.